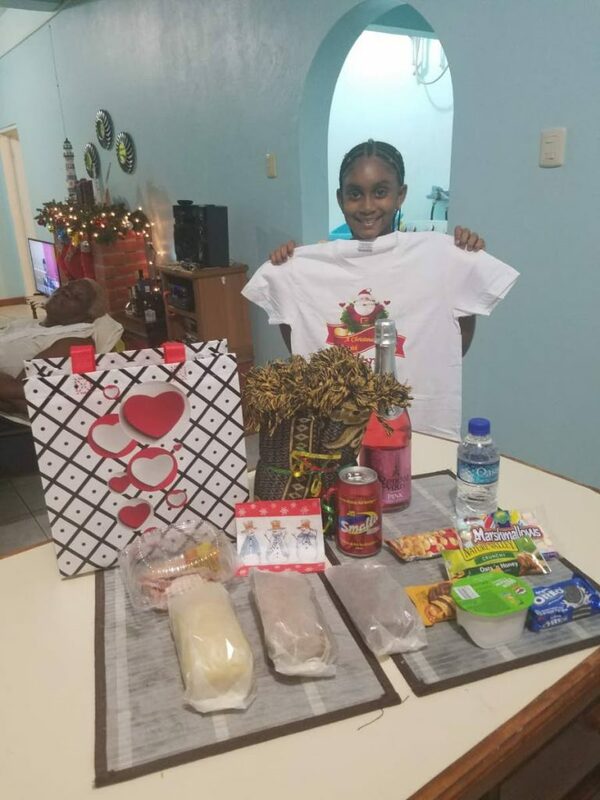 Eleven-year-old Kymora O’Shaughnessy brought the joy and spirit of Christmas to 24 homeless persons in Scarborough on Monday as she delivered hampers of food stuff to them. O’Shaughnessy, with help from family members and close friends, made several stops at points in Scarborough, delivering her hampers which contained breads, cakes, sweetbreads, non-alcoholic drinks, slices of ham and turkey, a blanket, Christmas snacks and cookies, and a mason jar. She said she was inspired to help the homeless in the season of goodwill by a previous encounter with a homeless person. “In August, I saw a homeless man and gave him my meal and it warmed my heart. There and then, I decided that I should do something for the homeless, especially with this being Christmas,” she said. 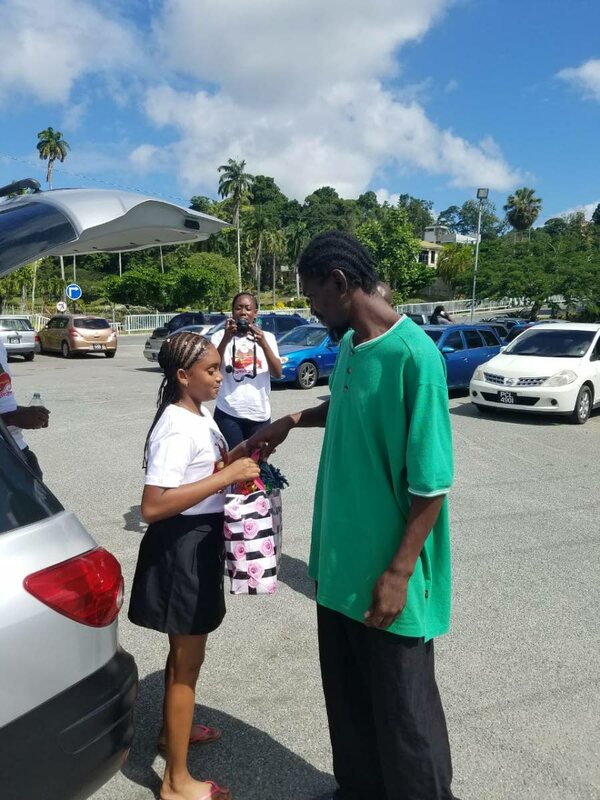 She told Newsday Tobago that she wanted to ensure that the homeless enjoyed the spirit of Christmas along with the rest of the country. O’Shaughnessy is encouraging citizens to find ways of giving back. She said her efforts to help the homeless would be a continuous one and not just confined to this Christmas season. Her mother, Nicole Phillip, said that O’Shaughnessy has a giving heart, so when she heard about her daughter’s initiative she was not surprised. “I am extremely proud of Kymora. My daughter wants to make the world a better place, she realises how blessed she is to have a home and family that cares about her. “I am happy that she decided to give to people, instead of even asking for anything for herself for Christmas. This is her Christmas gift actually, she asked for assistance and support for the initiative and that she did get,” Phillip said. Reply to "Kymora, 11, donates hampers to homeless persons for Christmas"